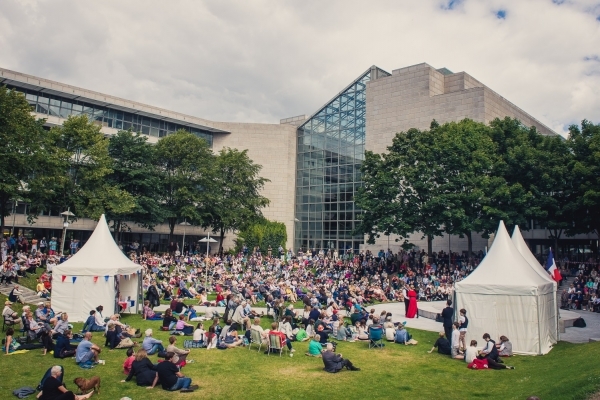 Dublin City Council and Dublin City Arts Office supports many cultural and arts events that take place in Dublin City. Call for Expressions of Interest to manage potential new arts and culture venue at St. Stephen’s Church (also known as the Pepper Canister Church) Mount Street, Dublin 2. Dublin City Council's Arts Office is assisting St. Stephen’s Church to access expressions of interest from individuals or organisations interested in exploring the possibility of managing St. Stephen’s Church, Mount Street, Dublin (also known as the Pepper Canister Church) as a programmed venue to host cultural events and projects. This call for Expressions of Interest is an exploratory process. Applicants will be required to complete an application form (available below) and submit a full proposal with supporting documentation to express their interest. Information pack which provides background to the proposed initiative, deadlines and timeline, assessment criteria and an application form is available below. Dublin City Council is pleased to announce an open call for artists/creative practitioners, cultural organisations, young collectives, creative/cultural communities and neighbourhood communities/organisations to submit proposals to be part of Cruinniú na nÓg 2019 , Dublin City Creative Ireland Programme. This open call is for activities, performances, readings, workshops, showcase events, interactive art installations, etc. to take place as part of Cruinniú na nÓg, Saturday 15th June 2019 across Dublin City. Cruinniú na nÓg is an all Ireland event which celebrates and encourages children and young people’s participation in culture and creativity through performance, coding, theatre, art and music workshops, readings, screenings, special events and much more. Events are free, local and activity-based. It’s a day for ‘doing’, ‘making’ ‘celebrating’ and ‘creating’! This year we are looking to present work across all art-forms through activities, performances, developmental workshops or creative projects for/by young people aged 0-18. These activities will take place across Dublin City neighbourhoods. They can happen in community centres, public spaces and parks, schools, libraries, and venues. These events can be one off to happen on the 15th June or be project based with the final outcome demonstrated on the 15th June. In exceptional cases activities involving schools may be considered for June 14th. Activities are inclusive of all art forms and creative forms including but not limited to visual art, music, dance, drama, storytelling, puppetry, circus, street art, performance, coding, design, readings, poetry, architecture, etc. We are looking for innovative activities that foster creativity, encourage collaboration and engage a diverse audience. Dublin City Council is seeking proposals from artists/ cultural organisations / venues/ community or youth groups/producers who are interested in presenting events. Work with you to promote your Cruinniú na nÓg event to children, young people and families in your area. Provide financial assistance (as partners are expected to bring their own resources to proposed events, this will be agreed on an event by event basis and only where required/feasible, not all events proposed may require or receive financial assistance). Payment of any financial contribution, where agreed, will be made in April 2019. All projects must be completed by 15th June 2019. The project must have a public event or showing in Dublin City. Funding may be used to purchase materials / to engage an artist to create new work or processes / exhibition and workshops / showcase or performance of new work. All artists should be paid equitably for their work, time and preparation. Funding may not be used for competitions (entry or travel to). Funding provided by Creative Ireland Dublin City must be acknowledged in all publicity material associated with the work. Logos are available from Dublin City Council Arts Office. Successful applicants will be asked to provide a short written report describing their experiences and the impact of the event/events. Dublin City Council and Creative Ireland reserve the right to publicise the programme. Successful applicants may be asked to be available for promotional material. The selection panel reserves the right not to grant an award if the standard of applications does not satisfy the criteria of the award in full. Only proposals with completed applications and the required documents will be considered. Proposals and applications will be held onto for a year. Presenting organisations/venues will be required to show evidence of an up to date child protection policy and must ensure all staff/artists engaged are successfully garda vetted by the venue organisation. Feedback, reporting and evaluation of the project should be informed by participant/audience forms and surveys. Click the button below to download the application form. PRIVACY (General Data Protection Regulation G.D.P.R.). The purpose for processing the data you provide is for the selection of participants in the creation of activities, performances, readings, workshops, showcase events, interactive art installations, etc. to take place as part of Cruinniú na nÓg, Saturday 15th June 2019 across Dublin City. The information you provide will be accessed by staff of Dublin City Arts Office and invited external specialists and may be shared with relevant Dublin City Council staff. Your information will be retained for 6 years if successful and 1 year if unsuccessful with your application. This process is being undertaken in accordance with the Arts Act 2003. Please note that to help protect your privacy; we take steps to verify your identity before granting access to personal data. If you would like to exercise any of these rights, please submit a request to our Data Protection Officer outlining the specific details of the request: Email: dataprotection@dublincity.ie Tel: 01 2223775. All valid requests will be processed without undue delay and in any event within one month of receipt of the request. This period may be extended by up to two further months where necessary.